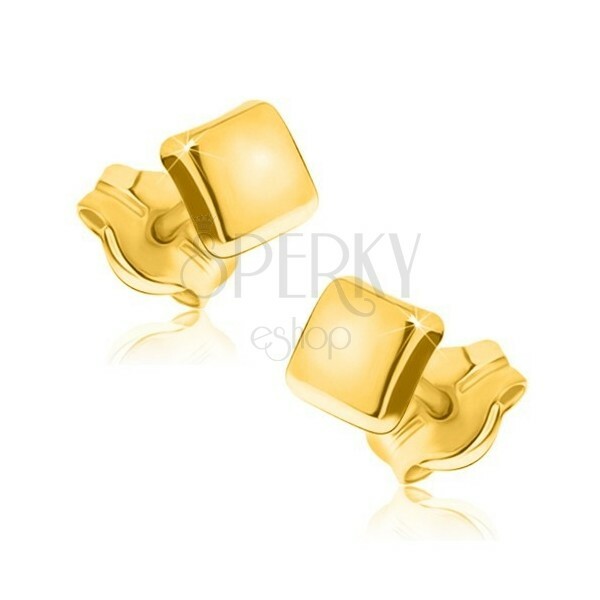 Yellow 9K gold earrings - small squares with rounded edges, high gloss surface, stud fastening. By buying this product you can collect up to 19 points as a voucher of 3,80 €. Your reward points. 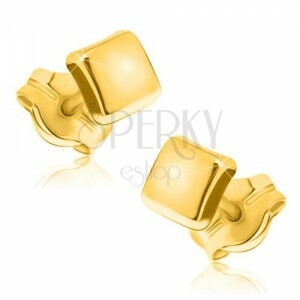 Yellow 375 gold earrings have a shape of small squares. Squares have slightly convexed and glossy surface with rounded edges. 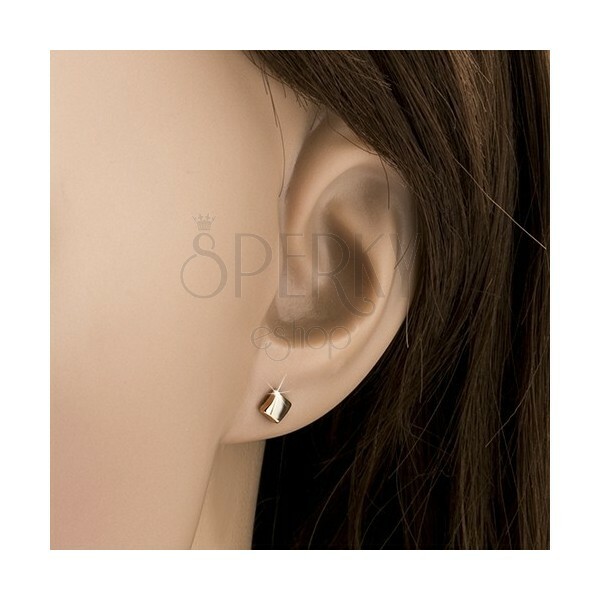 Earrings have emovable closure retained by friction.